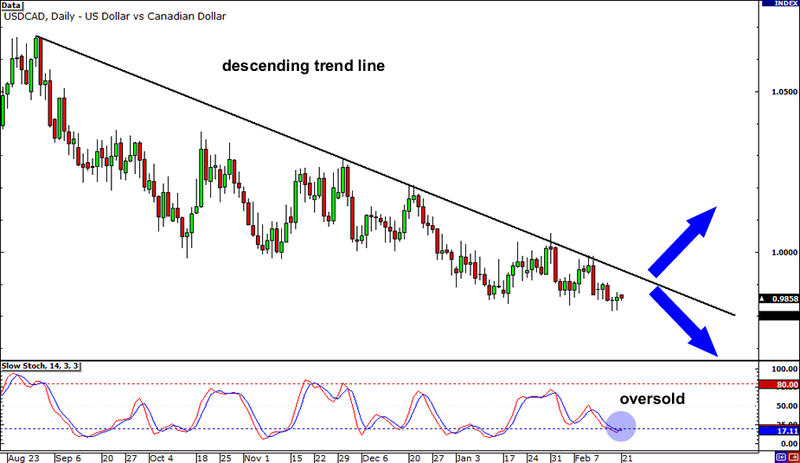 For those of you who like trading the Loonie, here’s a quick look at USD/CAD’s daily chart for y’all! It looks like the overall trend is still down since the falling trend line connecting the pair’s highs is still intact. In fact, the pair even made a new yearly low at .9816. But Loonie bulls better tread carefully from now on because the bears might be ready to take over. Stochastic just reached the oversold area and may be looking to climb back up, suggesting that a reversal could be in sight. Stay on your toes if a candlestick closes above the trend line! Ooooh… It looks like bears are getting ready to pounce on the Kiwi again. 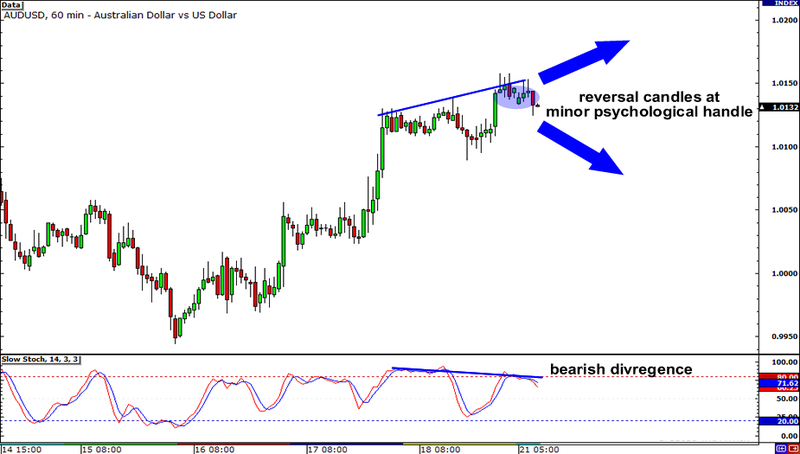 Check out that bearish divergence on the 4-hour time frame of NZD/USD y’all! Tsss… Sizzlin’ right? Sticking some Fibs into the pair we see also see that bulls are having a hard time pushing NZD/USD past the resistance at the 50% Fib level. Well, if there are enough sellers hangin’ around, we may just see the pair tumble all the way down to .7500. But watch out for a strong bullish candle above .7650 because this may be a signal that bulls could push the pair up to .7750! And now, let’s zoom in on the 1-hour chart of AUD/USD. Aha! Remember the ascending triangle that I pointed out on the daily time frame of the pair last week? Well, it looks like the Aussie may not have enough swagger to make it all the way up to 1.0200 with that regular bearish divergence and those spinning tops and dojis at 1.0050! 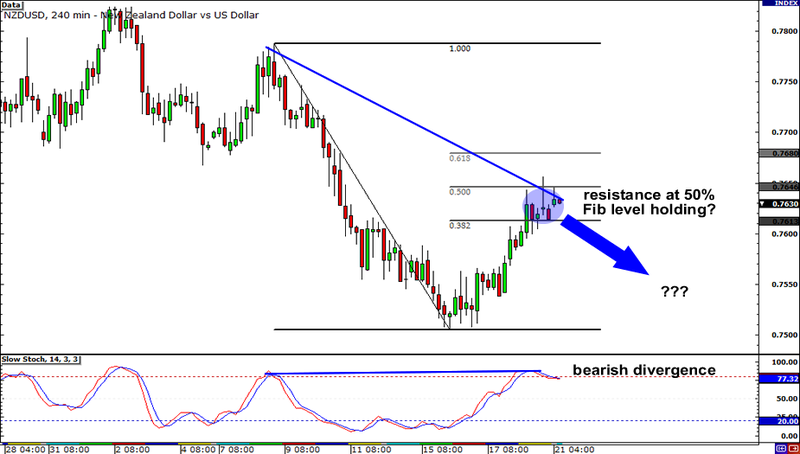 If resistance at the minor psychological handle holds, AUD/USD could tumble down to support around 1.0040. But if it doesn’t and the pair manages to close above 1.0050, the bulls may just be able to hustle Aussie back up to 1.0200!